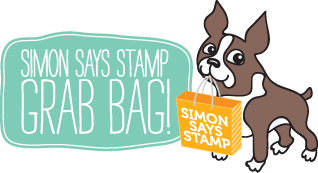 Hello crafters, it’s Nina-Marie here with you today, bringing the latest edition of Did You Know?! 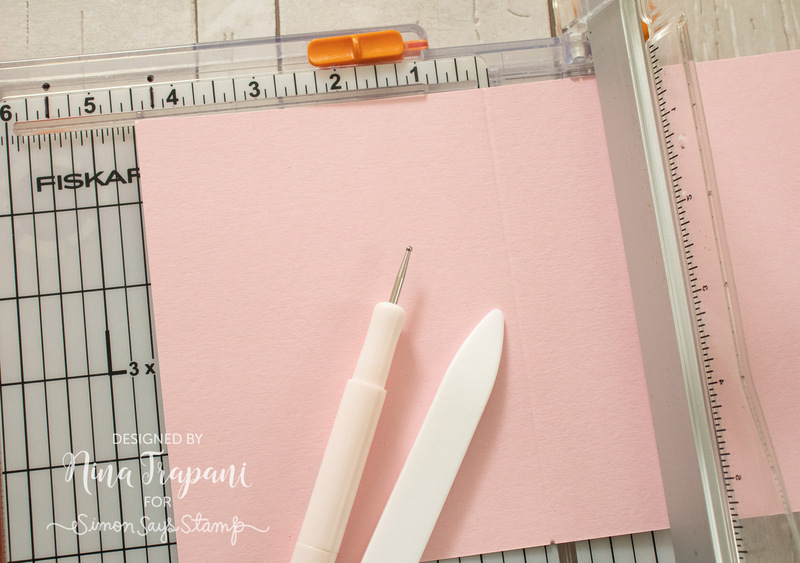 If it’s your first time seeing this feature, each month we will be bringing you fun facts, creative tips and even crafty hacks about your favorite supplies and brands; you can then use these awesome tips that you learn in your next crafting projects! Are you ready to learn some fun tricks? Keep on reading! While this may look like a standard ruler, the details included in this MISTI Cut-Align are not to be overlooked! 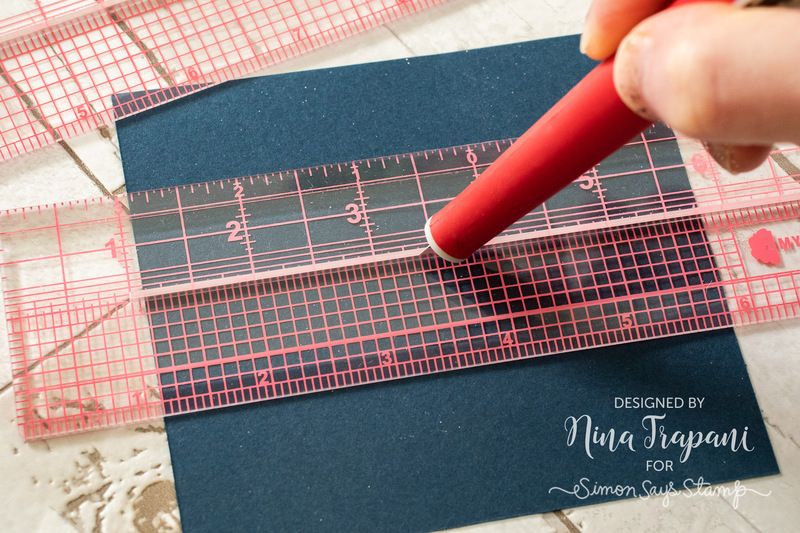 Not only are there accurate measuring guides, such as a centering ruler, a standard inch measurement and a grid, but there is one specific feature of this tool that makes it even more amazing! 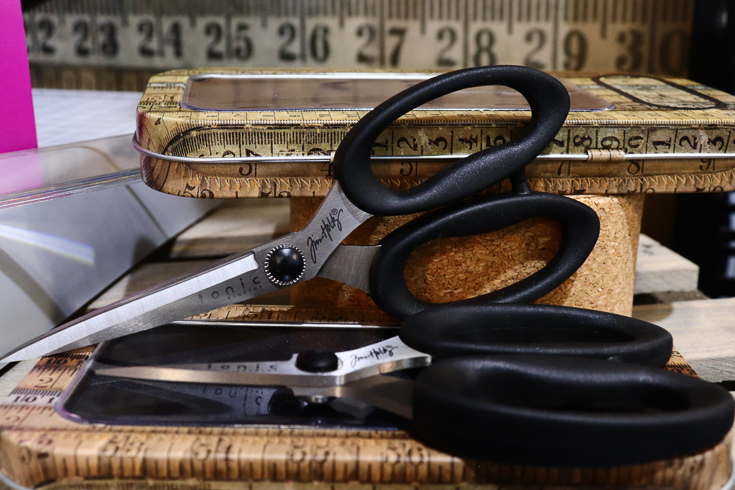 The Cut-Align has a groove designed specifically to keep a hand-held craft knife in place when cutting; no more imperfect cuts from your knife skipping off a standard ruler! SENTIMENT STRIPS + SENTIMENT LABEL DIES = PERFECTION! Our Simon exclusive Sentiment Strips are a 4-sheet assortment of greetings, each sheet with its own collection of themed sentiments. 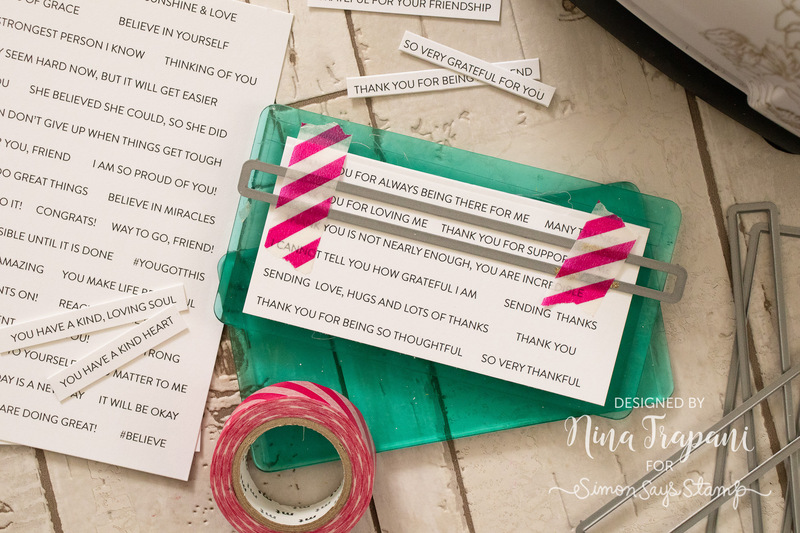 These greetings can be cut with scissors or a trimmer, but did you know that you could also use our Simon exclusive Sentiment Labels die set to cut them out with one easy pass through your die cutting machine?! You may want to consider looking at your paper trimmer differently! The Fiskars Trimmer has a blade groove that can be doubled as a scoring tool! Simply line up your paper and run your stylus or bone folder overtop… Voila! 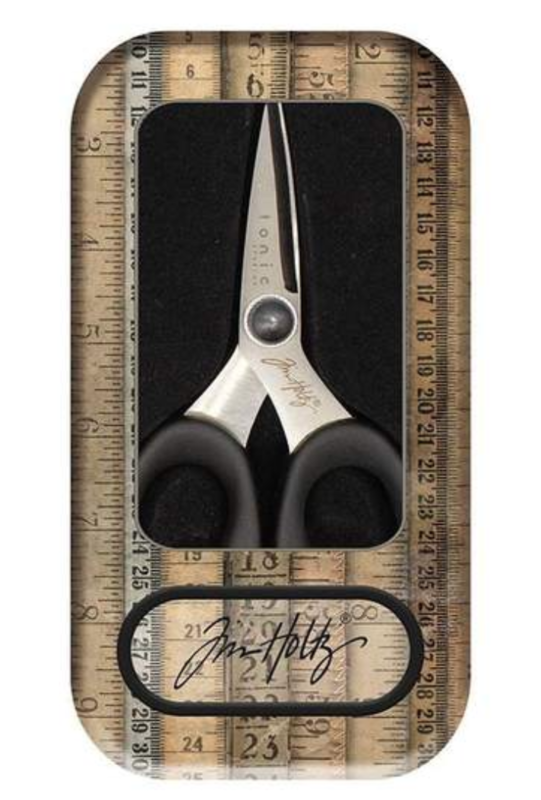 If you love to cut textiles, ribbons and more, Tim Holtz has unveiled his latest tool; The Haberdashery Scissors! 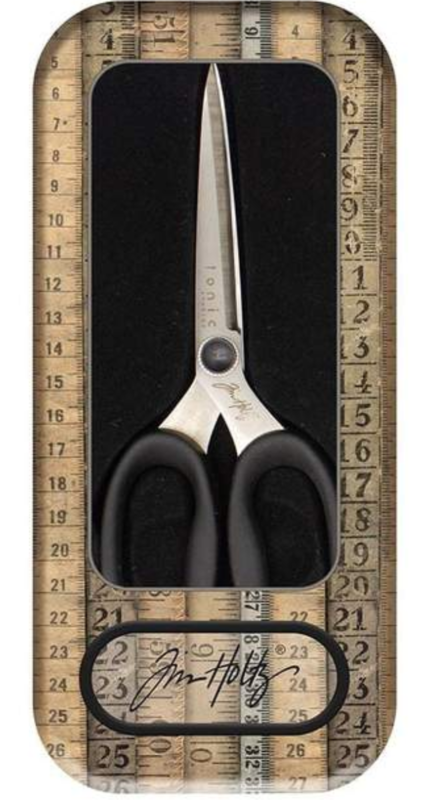 Did you know that these snips are designed especially for those of you who could use a pair of scissors dedicated to those supplies? No more struggling to cut with scissors that have been worn down by paper! as a slick surface for ink smooshing techniques; the large palette is especially handy for this! We hope you have enjoyed this month’s installment of Did You Know?! Tune in again next month for a brand new edition of this fun series! NEW Feature! Funny Fridays!! : Vicky C! Adding Shading To Stamped Images with Polychromos: Jodi Warren! New Paper Smooches Inspiration! : Lagene! Floral Wedding Inspiration: CINDY Aguirre! Color Coordinates: Spring Has Sprung! : Helen! Doodling with Debby: Watercolored Flower Border: Beverly Perdue! 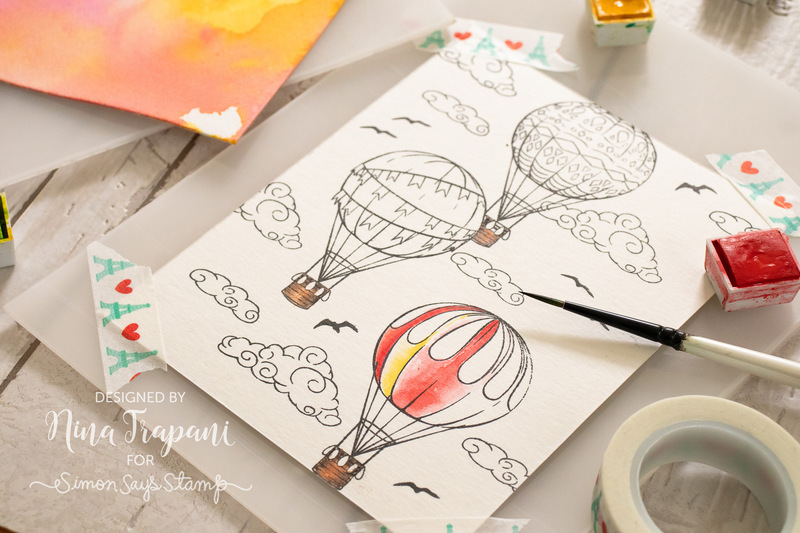 Crafty Quintet: 5 Ways to Use Alcohol Inks: Jennifer Petersen! Studio Monday with Nina-Marie: Picket Fence Foil Impressions + Gemini Foil Press: Mirella Rogan! I love the watercolor palette and the tips to go with it. I love the Sentiment Labels die set! One of my best purchases! I really enjoy the crafty tip series. Lots of goodies are on my wish list. Terrific tips and tools. I have a Fiskars trimmer, and really like it…only now I can’t find replacement scoring blades. It must be a model that is too old. First time seeing this feature.Need to look back at previous posts.I enjoyed seeing the new products! Thanks for all the great tips. The misti die cut align tip is my favorite. Great tip about the groove in the paper trimmer – I did not think about that before! Is there a missing paragraph for the Distress Oxides – I see the picture, but there is no written passage about that? I forgot about the Misti Cut Align tool! I could have used it this weekend when I made a card! Thanks for reminding me. Going to check out the Altenew pallets and Tim Holtz scissors! Love seeing all of these products and tips on using them. The Cut Align looks like an awesome tool and the Sentiment label dies are on my wish list! TFS all of these products and the ideas. Keep these posts coming with new products and tips!! I learn so much!! Fantastic tools! I haven’t seen the Misti Cut-Align – looks like a great tool to have! Wonderful tips, love the feature! Lots of great tips and tools especially the Misti cut-align! Thanks for sharing! What great tools! Loved being able to learn about them and add a few to my wish list :) Thanks for the blog candy giveaway too! So fun to see I have won. Love all the tips! Can’t wait to try the watercolor pallet. Love these tip/idea/hack post that Nina-Marie does. I always learn 1 to 3 things in each post. Love them. This is one of my favourite blog features. I always learn something new! Thanks! Thanks for these tips!!! Congrats to all the lucky winners!!! I really enjoy these tips. Today the Misti cut align ruler looks wonderful. Great tips and great tools for the tool chest. Love these tools and their uses, sentiment strips and dies look great. National Crafting Month is Winding Down… Show Us What You’re Working On! 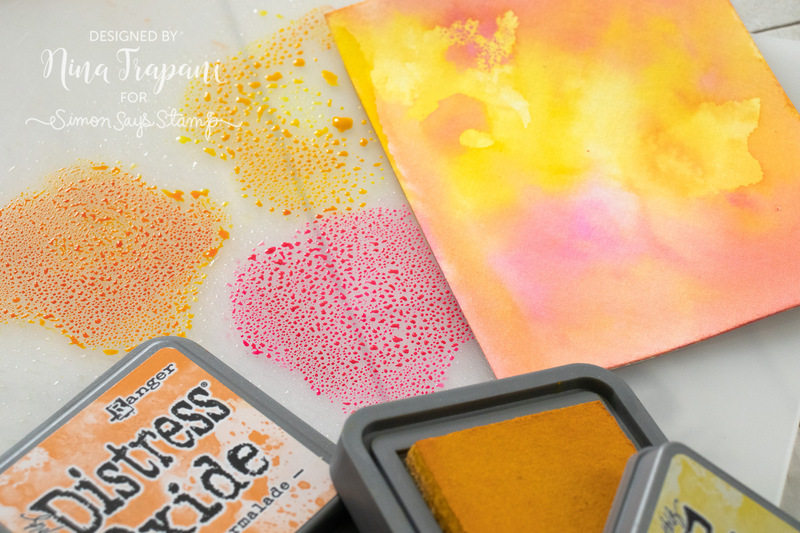 Prima Watercolor Confections + Rainbow Cards + Kindness Day!